Students in the Spartan Scholars Program gather with a peer mentor after class. 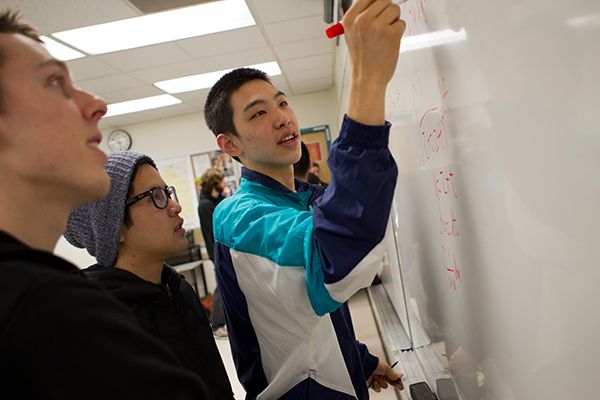 The Koret Foundation gave $2 million to SJSU to support student success initiatives, including the Spartan Scholars Program. As Student Affairs and Academic Affairs staff and faculty launch initiatives to support student success, two recent gifts to the university are specifically earmarked to fund such efforts. University Advancement received a $15 million gift from Lupe Diaz Compean and a $2 million gift from the Koret Foundation last spring. Compean’s gift will support student success initiatives and scholarships. The donation will also support the maintenance of SJSU’s newly renovated and expanded Student Union, and the many activities housed in this structure located in the heart of campus. The new student union was dedicated in honor of her and her late husband on Sept. 1. The facility is now known as the Ramiro Compean and Lupe Diaz Compean Student Union. 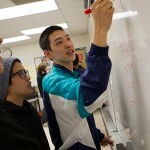 In addition, SJSU received $2 million from the Koret Foundation as part of a multi-year $50 million initiative to support higher education at a dozen institutions in the Bay Area. 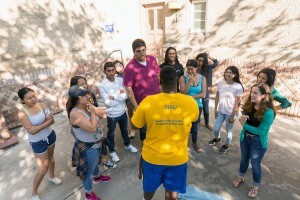 SJSU’s funding will be used to create a new student information analytics system that will improve advising; support the Spartan Scholars Program, a newly launched summer bridge program that is aimed at increasing retention and graduation of underrepresented students; and provide scholarships for students with the most need. “This is a significant start to our efforts to seek funding to support student success initiatives, and it will be complemented by what will ultimately be the $8 million Compean Endowment for Student Success Initiatives once that fund matures,” Lanning said. 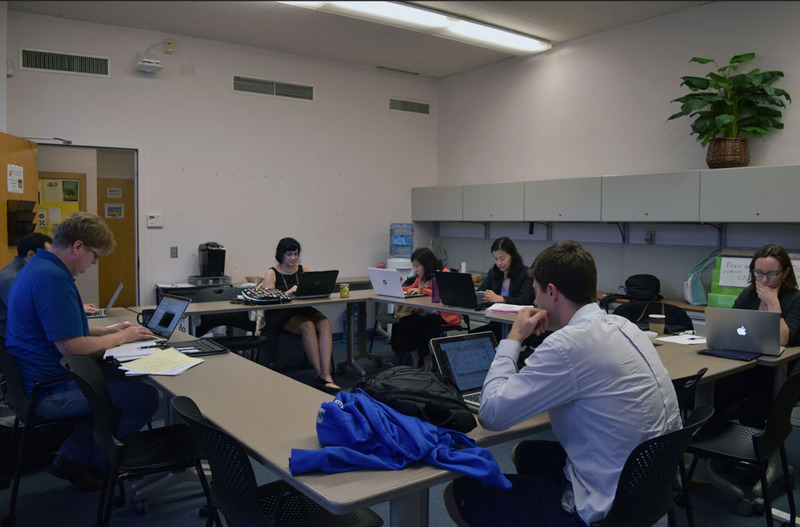 The goals of the gifts are in line with SJSU’s Four Pillars of Student Success plan, which is focused on college readiness, advising, student engagement and clearing bottlenecks. In support of the campus priority, Lanning created a new position in University Advancement to continue fundraising efforts around student success. 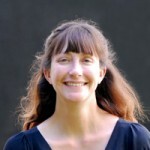 Emily Lane, hired in August, is the new director of development for student success. As SJSU’s Four Pillars of Student Success is rolled out this semester, students, faculty and staff have an opportunity to provide input on two key components of student engagement — faculty/staff mentor and first-year experience programs. Through a U.S. Department of Education Title III Strengthening Institutions five-year grant, a group of faculty and staff members have been working to establish sustainable best practices for student success. In its first year, Backer and her collaborators selected five areas of focus that they believed could be sustainable once the grant period is completed. The areas include block scheduling, the mentor program, peer educators and mentors, first-year experiences, and student living learning communities in the residence halls. The discussion on Sept. 9 will address how to expand on a pilot faculty/staff mentor program that started in spring 2015. Maria Alaniz, a professor in the College of Social Sciences and the coordinator of the mentor program, helped to implement an online portal that matches students and mentors. For more information on the pilot, visit https://mentorcommunitysjsu.xinspire.com/. The discussion around first-year experience on Sept. 23 will aim to answer questions about what type of programs are sustainable at SJSU, what will fit in with SJSU’s culture and what students want. Models could include a general education course, an extended orientation model, or programming in the dorms. Members of the University Grants Academy meet for a work session as a deadline approaches in their grant process. The inaugural academy provided support to two cohorts of faculty members. Professors Amy D’Andrade and John Lee will again be leading the San Jose State University Grants Academy (UGA) program, with two informational sessions planned for September for tenured/tenure track faculty members who are interested in applying to participate this year. Of the 2015-16 participants, 20 participants had completed a full proposal by the end of the program and as of the end of July, ten UGA participants had submitted proposals to the National Science Foundation, the National Institutes of Health and other private funders for a combined total of nearly $4 million. Others have upcoming submission deadlines for proposals. “In addition to these concrete outcomes, each of the UGA participants learned how to access the campus units and partners who will support them through the process of grant writing and grant submission, and made connections with successful SJSU grant writers who served as mentors,” D’Andrade said. The UGA launched in fall 2015 as an opportunity for faculty members to gain advice and insight on applying for external grants to support their research. Candidates who were selected had a viable project and were ready to apply for external funding. In addition to assigned time of 0.2, the program included informational sessions held in the fall, with representatives from the Office of Research, Research Foundation, University Advancement and the Center for Faculty Development. In addition, the 24 faculty participants received mentoring from SJSU faculty members who successfully received external grant funding, and received multiple reviews of their proposal drafts from UGA peers, campus experts, mentors and senior scholars from outside the university. “The inaugural participants contributed several constructive ideas on how the program can be made even better,” said Lee, a professor of mechanical engineering in the Charles. W. Davidson College of Engineering. “They had suggestions on modifying the structure, sizing and sequencing of activities so that feedback could be used more interactively and constructively. I really look forward to benefitting from their suggestions in the next go-around. 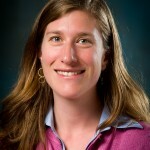 First-year participant Child and Adolescent Development Associate Professor Nadia Sorkhabi, from the Connie L. Lurie College of Education, had a strong publication record and had largely been conducting research using intramural grants, which she believed provided her with an empirical basis to apply for external funding. “I didn’t know that, and there is definitely money available for computer science education,” he said. One of the key things Horstmann appreciated about the UGA was the opportunity to learn about other research interests on campus. “It puts us together with other people – otherwise you are a lone player,” he said, noting that he met a colleague who is working with an NSF grant on math education and that they may be able to collaborate in the future. D’Andrade said she appreciated the chance to get to know other faculty on campus, but also to see their work come together. “In addition to having the opportunity to become acquainted with a great group of creative and determined faculty, it was wonderful to see all the proposals come together over the semester, piece by piece, and to see the list of all proposal titles at our final celebration,” D’Andrade said.